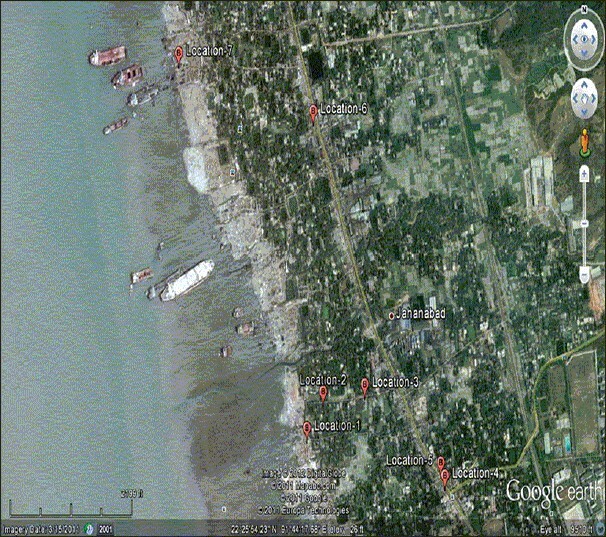 The environmental radioactivity levels, both natural and anthropogenic, in the ship scrapped materials such as metal, rubber and foam and tree bark of ship breaking area of Bhatiari, Chittagong in the southern part of Bangladesh were analyzed by using a high purity germanium γ-ray spectrometry. The specific radioactivities of Radium (226 Ra), Thorium (232 Th) and Potassium (40 K) were measured in the above samples. From the measured specific radioactivities of the above three natural radionuclides, the radium equivalent activity (Ra eq) and the external hazard index (H ex) were calculated. The natural radioactivity in scrapped metal collected from the engine of a ship is found to be a bit higher. In other samples, the Ra eq values were in the range of 21 → 145 Bq/kg and the H ex varied from 0.06 to 0.39, which indicates that the working environment of the ship breaking area of Chittagong is radiologically safe. The presence of radioactive material in scrap metal (SM) or the semi-finished products of the metal recycling industries may cause health, economic, legal, and public acceptance problems. This paper deals with the risk assessment in the recycling of the contaminated SM, and its legal aspects, regulation, and control. The purpose of this study is to assess the risks from the recycling of SM and evaluate the Egyptian legal framework regarding the SM. This paper consists of three parts. 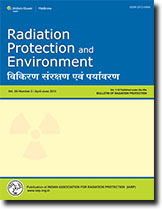 First, radiation doses and the risks resulting from the recycling of SM and the reuse of surface-contaminated material and equipment are calculated using the RESRAD-RECYCLE computer code. Second, the legal aspects related to SM are reviewed, which deals with the Egyptian nuclear law no. 7 and its executive regulation, and the regulation of the SM. The role of Egyptian Nuclear and Radiation Regulatory Authority (ENRRA) in relation to this issue has also been reviewed. Third, analysis of the draft international non-binding code of conduct on the transboundary movement of radioactive material inadvertently incorporated into scrap metal and semi-finished products of the metal recycling industries has been done. 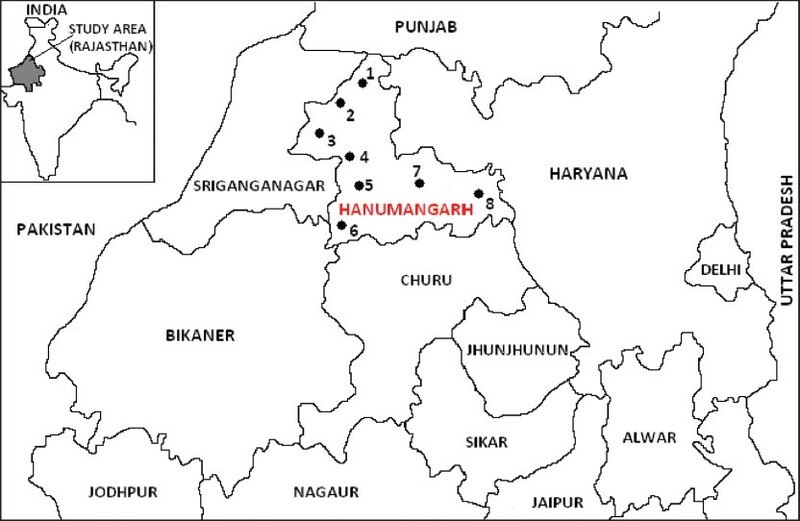 Radon levels were measured in drinking water samples collected from Hanumangarh district of Rajasthan, India. The measurements were performed by RAD7 an electronic radon detector manufactured by Durridge Company Inc. The radon concentration in these samples is found to vary from (1.6 ± 0.6) to (5.4 ± 0.7) Bq/l with a mean value of (3.3 ± 1.1) Bq/l. These recorded values are compared with the safe limit values recommended for drinking water by various health and environmental protection agencies. The recorded values of radon concentration are within the safe limit of 11 Bq/l recommended by the US Environmental Protection Agency. The annual effective dose for ingestion and inhalation is also evaluated in this research. The estimated total effective dose varies from 4.29 to 14.47 μSv/year. The total effective dose in all locations of the studied area is found to be within the safe limit (0.1 mSv/year) recommended by World Health Organization and European Council. The present study was aimed at the determination of the specific activity of naturally occurring radionuclides and evaluation of the radiological health hazards in 24 cement samples representing six cement types commonly used in Cameroon for building construction have been analyzed. 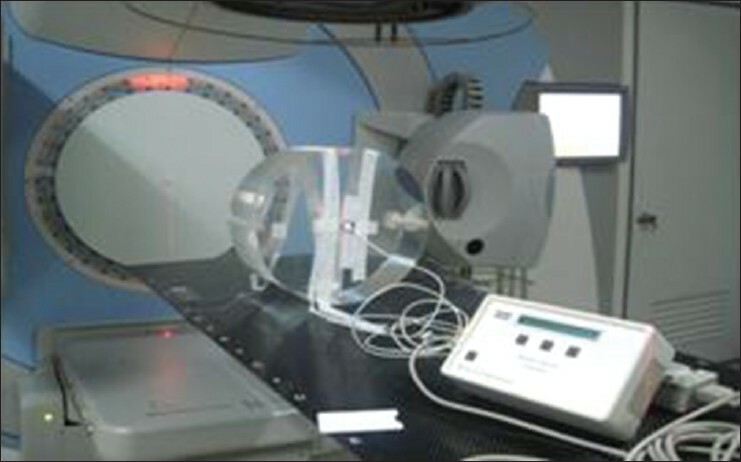 A high purity germanium detector spectrometer was used for quantification of gamma emitting radionuclide in the cements to demonstrate the radiological health hazards. Terrestrial absorbed dose rate (D), annual effective dose, radium equivalent activity, external/internal hazard index, activity gamma and alpha index caused by gamma emitting natural radionuclide are determined from the obtained values of 226 Ra, 232 Th and 40 K. The calculated values of the absorbed dose rate and the indoor annual effective dose are slightly higher as compared to the recommended world-wide values. The details of the samples preparation procedure and the gamma-ray spectrometry technique are presented, together with the preliminary investigated results of specific activity of naturally occurring radionuclide chains for six representative cement type-analyzed in this current work. Strontium-90 is one of radioactive nuclear fallout products, can cause serious health effects. Efficient techniques are needed to remove radioactive strontium from contaminated persons. In this study complexation properties of the p-tert-butylcalixarene has been evaluated against cold strontium nitrate. Ultra violet-visible (UV-vis) and fluorescence spectrophotometric techniques were used for the qualitative analytical screening and the inductively coupled plasma-atomic emission spectrometry (ICP-AES) technique used for the quantitative complexation of p-tert-butylcalixarene with strontium nitrate. 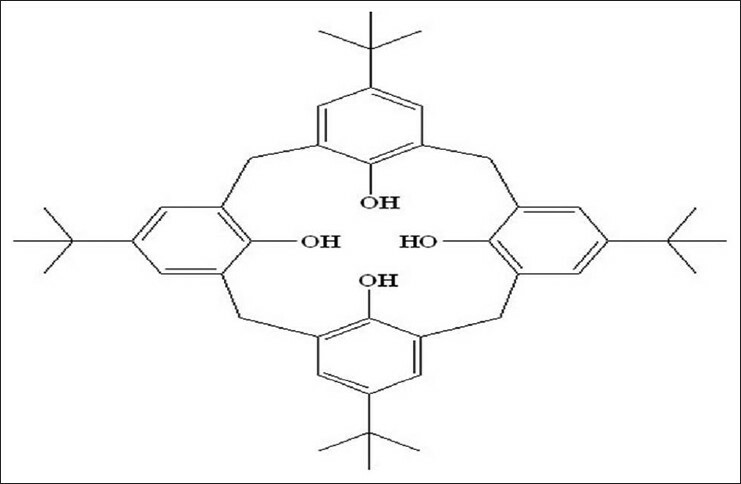 UV-vis, fluorescence spectroscopy and ICP-AES studies confirmed the complexation of p-tert-butylcalixarene and strontium. Extraction study of strontium from picric acid by trans-chelation method proves that p-tert-butylcalixarene is nearly 87% ± 3% effective. Complexation can be attributed to the cation-lone pair interaction and the bonding between the Sr 2+ and the hydroxyl group of the p-tert-butylcalixarene implying its promise as a complexing agent for the removal of strontium. Objectives: The objective of the following study is to provide the quantitative imaging dose dependency on treatment region and scanning settings concerning the additional imaging doses from kV-cone beam computed tomography (CBCT) scans. 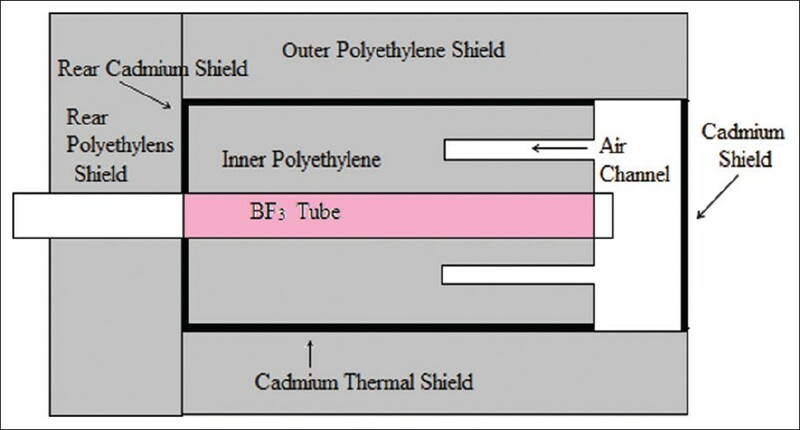 Materials and Methods: Patient imaging dose measurements were performed using head and body cylindrical poly methyl metha acrylate (PMMA) phantoms, 0.125 cm 3 ionization chamber and electrometer and metal oxide semiconductor field effect transistor dosimeter. Results: The dose values for the pelvis phantom was found vary from 8.6 mGy to 22.2 mGy for 120 kVp, 1040 mAs. For the head phantom, the dose values vary from 0.71 mGy to 1.37 mGy for 100 kVp, 36.1 mAs. For head scanning mode, the peripheral doses are greater than the central axis doses by a magnitude of 1.3-2 with the largest found consistently at 3 o'clock position of the PMMA head phantom. For the pelvis scan, the peripheral doses are greater than the central doses by a magnitude of 2.1-2.6 with the largest found consistently at 9 o'clock position of the PMMA pelvis phantom. Conclusion: One should be aware of the additional imaging dose with daily kV-CBCT when setting up CBCT scanning protocol and should try to reduce the high voltage usage since reduction of the tube voltage can reduce radiation dose to the patient, especially for pediatric patients. Long counter (LC) is one of the standard instruments in neutron source flux measurements. Its counting efficiency is independent on the neutron energy and can be useful device in many neutron physics applications. In this paper, LC effective center for a 241 Am-Be neutron source has been measured in two cases one with source inside a collimator and other with bare neutron source. The effective center for the neutron source inside collimator and under bare conditions has been measured to be 13.5 cm and 9.5 cm, respectively. Using effective center and flux at various distances, the emission rate of the source has been estimated. 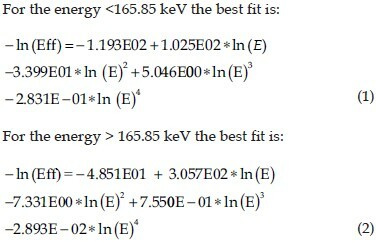 Neutron emission rate was found to be (4.78 ± 0.164) Χ 10 7 and (4.92 ± 0.37) Χ 10 7 n/s for the source inside the collimator and bare source, respectively. This technique is one of the useful methods to determine neutron emission rate and for neutron fields' calibration.